Feel secure on holiday with our travel insurance when you have HIV or AIDS. With unlimited medical cover and cancellation cover up to £15,000*, you can relax on holiday knowing you’ve got the right cover. Get a quote online in minutes, or find out more about our cover below. Getting the right travel insurance when living with AIDS or HIV can feel daunting. But living with a pre-existing medical condition, like AIDS or HIV, shouldn’t stand in the way of you getting proper travel insurance. We want you to have a stress-free holiday, with the peace of mind that you’re in the best hands if anything goes wrong. To find out what cover is available for people living with HIV or AIDS, simply talk to our friendly team on 0808 168 9116, or get a quote online today. Why do I need travel insurance for HIV and AIDS? It’s always best to be protected when travelling, just in case something doesn’t go according to plan. We like to do things the right way. We’re sure that where travel insurance is concerned, you have the same approach. In 2017, 1 in 20 people made claims on their Annual Travel Insurance***. So, it’s not as uncommon as you might think. Covering the costs of lost luggage, cancellations, flight delays or a lost passport, travel insurance saves you the hassle and expensive fees that come with any unexpected problems that disrupt what’s meant to be a relaxing trip. As for the cost of medical treatment, services vary between countries but for many, it can be costly. The right policy could save you a lot of money (and unnecessary stress) if issues do crop up while you’re away. After all, we know that peace of mind at a time you’re meant to be stress-free, is priceless. To get a quote you need to complete a medical screening. The process takes only minutes and can be taken over the phone with one of our helpful advisors, or online with a simple questionnaire. All information given is treated confidentially. Can you cover me if my condition is terminal? We can signpost you to the British Insurance Brokers Association (BIBA). They may be able to help in finding you an alternative provider. In the last three months have you started a new antiviral drug or is a new drug planned? If you have been on antiviral treatment for more than three months, what is your latest viral load? Have you been advised to start antiviral treatment but chosen not to? Do I need to tell you about all my medical conditions? Yes. It’s vital to get the details right at this stage, to avoid any disappointment later. If a medical condition is not included in your policy it would end up meaning you are not covered if you later need to make a claim. 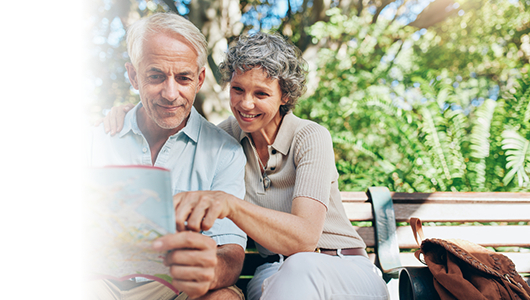 Beforehand, it’s important to talk to your doctor or care provider to be sure of any risks you may be taking and that they’re happy with your travel plans, especially if you plan on visiting a developing country. Be aware that food and water in some countries may not be clean, so would be unsafe to consume and leaving you vulnerable to infections. Unfortunately, some locations are unsafe to visit for those with HIV related illness’. To find out more information, visit the Terrence Higgins Trust. I’ve already bought my policy. Can I make additional changes to it? If something changes before you take your trip, such as your CD4 count, new conditions, symptoms or any changes, we’ll need you to let us know as soon as possible. We’ll do our best to see if we can increase the coverage of your policy where necessary. It is best to let us know sooner rather than later so we can update your policy details and ensure your cover is tailored to your needs. You can tailor your cover to different circumstances, to ensure you have the right cover for you. Every customer is an individual and we take care to ensure you’re covered properly. After all, if something is worth doing, it’s worth doing right. To see what insurance cover is best for you, call us for free on 0800 033 4902, or get your quote online today.